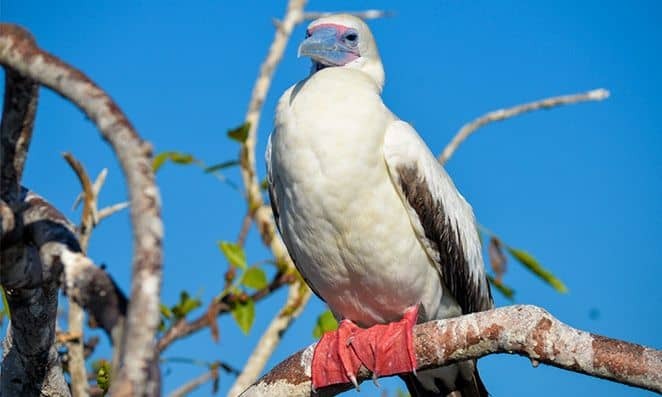 Today we prepare to explore the most amazing archipelago of the Pacific coast and the place where Charles Darwin based his theory of the evolution of the species. In the morning we will take a flight from Quito to Baltra Island. Once you arrive, our guide will pick you up and go to the 'El Chato’ Reserve in the high part of Santa Cruz, home of the famous Galápagos tortoise. Walking through the beautiful landscape of El Chato with those heavy giants tortoise is an unforgettable experience! We can see other species of wild animals from the highlands, such as ducks, egrets, flycatchers and finches in our walk. We can also observe frigate birds that gather to wash the salt from their feathers in a freshwater lake. We will go to Puerto Ayora to spend the night at the most populated point of the Galapagos. This day you will enjoy a full day navigable tour. 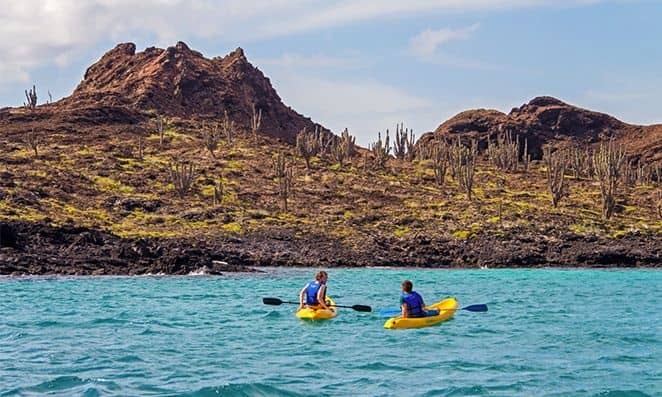 NOTE: The administrators of the Galapagos National Park control the flow of visitors to the different islands to protect the fragile environment of the Galapagos Islands accordingly; we will offer you the tour according to availability. 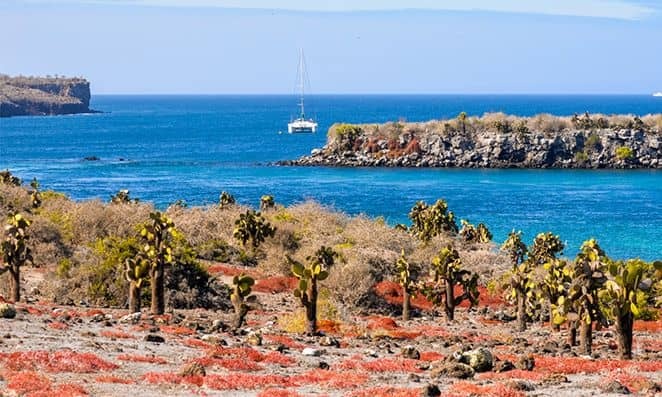 In the morning, we will take a speedboat to Isabela Island, the largest island in the archipelago and the place where the most volcanic activity in the Galapagos Islands is reported. The island is formed by six shield volcanoes, Alcedo, Cerro Azul, Darwin, Ecuador, Sierra Negra and Wolf, five of them still active, and therefore the island is one of the places with the highest volcanic activity on earth. During the crossing of our island, we will be attentive to dolphins and whales (from July to October). 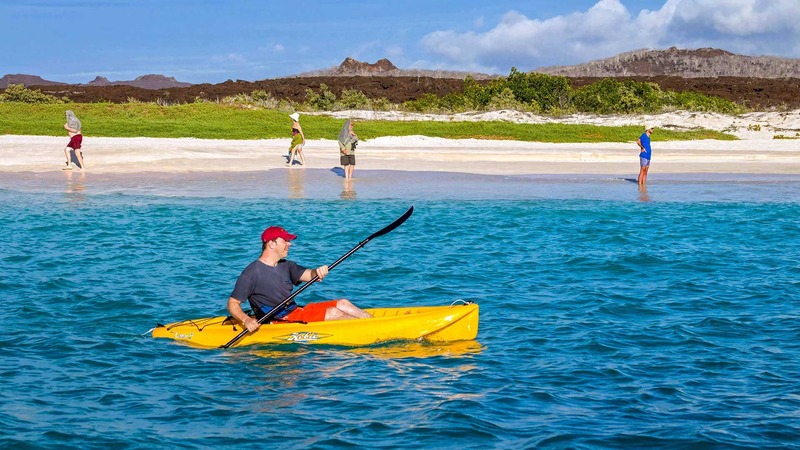 In the afternoon, we will have kayaking in Isabela, in this tour before starting; the guide will be waiting for you and will be happy to help you with everything you need. We will pick you up directly from your hotel and transfer to the beautiful pier beach. With a maximum of 10 persons, this small group tour provides a relaxed tourism experience. Practice your kayaking techniques and, once you feel comfortable, exit through the mangrove forests. After your time doing kayak, we can provide you snorkeling equipment to explore the area. Today, we explore the amazing lava formations created by the last eruptions of the Volcanic Island along the coast. This magical place has been used by the staff of the BBC / National Geographic for their documentaries. It is a labyrinth of lava arcs within the breakers, with crystal clear waters full of huge sea turtles, eagle rays, sea lions, fish, white tip reef sharks and more. The turtles sail on their own road from the mangroves to the open sea through "Los Tuneles". Over here, we will have the best opportunity to dive with all these beautiful animals, including the curious Galapagos penguin playing. After the trip, you can relax on the exotic white sandy beaches of Isabela Island. We will leave early in the morning (6 a.m.) to Santa Cruz Island. Once in Santa Cruz we will transfer to the Baltra airport in time to take the flight back to the mainland.